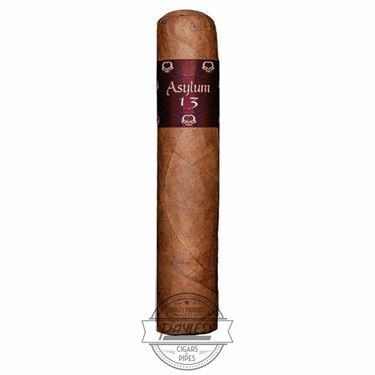 Asylum Cigars is known as the reining champion in the realm of modern and unorthodox premium cigars. 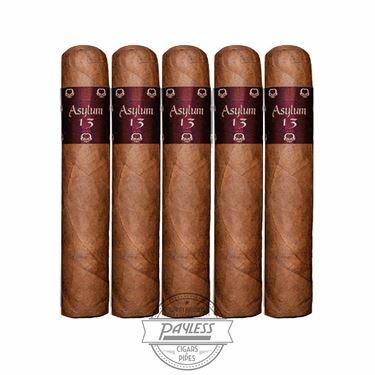 This is due to the brand's notorious advancements in large and ultra-large cigar formats, managing to maintain big flavor profiles and, more surprisingly, affordable price points. The company benefits from the juxtaposition of owners Tom Lazuka and Christian Eiroa. Tom is proudly based out of Detroit, lending creativity and a fun and relatable face to the brand. 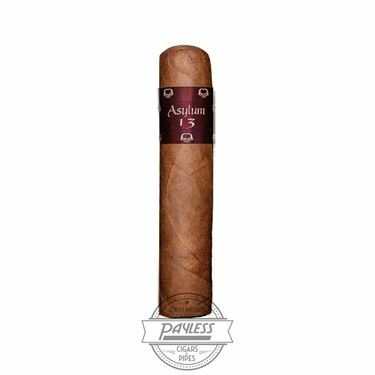 Christian remains in Central America, ensuring every cigar meets the strict standards that he and his renowned family have become known. 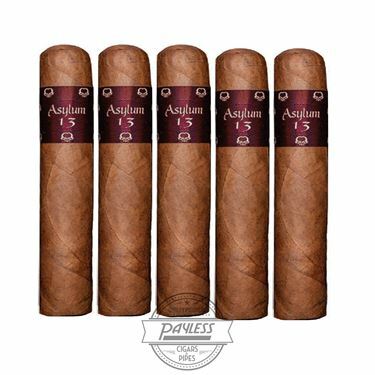 Asylum Cigars feature primarily Nicaraguan-based cigar blends, allowing for the big and fiery flavor profiles that modern cigar enthusiasts crave. 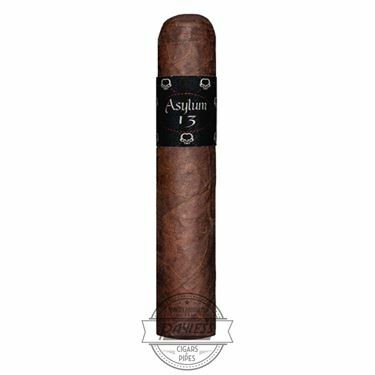 Pushing the boundaries of traditional smoking experiences, Asylum helped usher in the success of "gordo grande" cigar formats, such as 6" x 60, 7" x 70, and 8" x 80 beasts like the infamous Asylum 13 The Ogre. 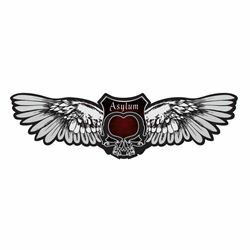 Don't make the mistake of judging this book by its cover, as Asylum has proven itself time and time again since debuting in 2012. 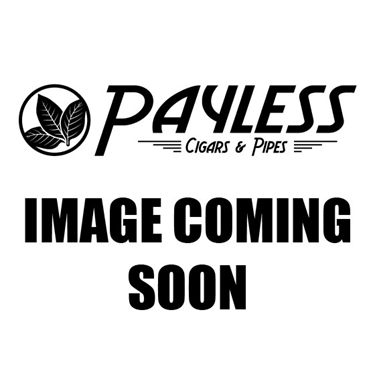 The cigars are backed by some of the most acclaimed artisans in the world of premium cigars, delivering a quality, consistent product and edgy flavor profiles for both new and experience smokers. Escape the "asylum" of life's everyday stresses with Asylum Cigars.